The Clam Shack, Kennebunkport, Maine. The Clam Shack are dishing up their award-winning lobster rolls starting at 11am on May 6th. They will be open weekends through Memorial Day, when they kick things into full gear for summer. While the Clam Shack doesn’t offer ocean views, they more than make up for it with the quality of their lobster. To read more about The Clam Shack, click here. The Lobster Shack at Two Lights, Cape Elizabeth, Maine. This is a classic lobster shack has been open since early spring, offering alfresco dining and ambiance overload. Perched at the edge of a rocky shore, provides views of two iconic lighthouses as well as all the classics you would expect at an authentic lobster shack. To read more about The Lobster Shack at Two Lights, click here. Harraseeket Lunch and Lobster, South Freeport, Maine. This lobster-themed eatery, with ocean views, alfresco dining and freshly delivered lobster, opened at the end of April. They offer a variety of lobster dishes, including lobster rolls and lobster dinners, along with homemade desserts, including whoopie pies. To read more about Harraseeket Lunch and Lobster, click here. Red’s Eats, Wiscasset, Maine. Reds, which is a more of a roadside hut than a shack, opened back in April. As with The Clam Shack, it doesn’t offer ocean views but it does deliver one of the most famous lobster rolls on the coast of Maine. To read more about Red’s Eats, click here. Five Islands Lobster Co., Georgetown, Maine. Possibly the most picturesque place to enjoy a lobster dinner in the rough is open as of May 7th. As with The Clam Shack, Five Islands lobster shack will be open weekends only until Memorial Day. Roll up your sleeves and enjoy the 360-degree views of the ocean and five islands of Sheepscot Bay as you tuck into boiled lobster dinners or lobster rolls on picnic tables lining the pier. 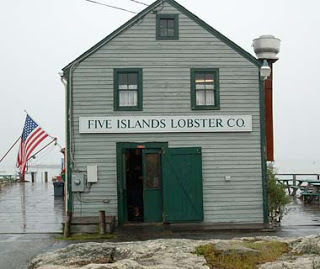 To read more about Five Island’s Lobster Co., click here. Estes Lobster House, Harpswell Neck, Maine. Estes will be serving up a wide variety of lobster dishes with a side of ambiance as of May 4th. Estes offer both the basics and more adventurous options like lobster pie, lobster dip and lobster mac and cheese. To read more about Estes Lobster House, click here. Thurston’s Lobster Pound, Bernard, Maine. Thurston’s open on Memorial Day, offering a good variety of lobster entrees, from lobster rolls and shore dinners to lobster dip, lobster stew and lobster BLTs. Thurston’s is perched on a pier overlooking the ocean and the lobster boats that bring in the catch. 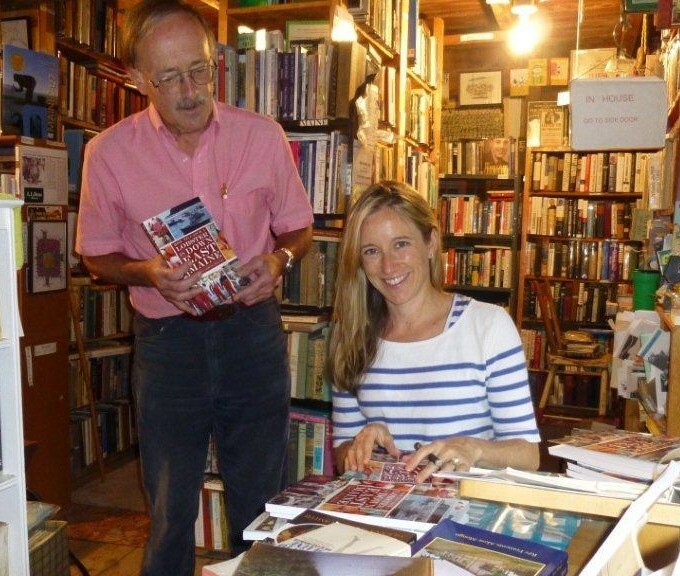 To read more about Thurston’s Lobster Pound, click here. Bagaduce Lunch, Brooksville, Maine. Bagaduce opened their no-frills take out at the end of April. Their forte is lobster rolls and a variety of fried seafood baskets, including an amazing haddock burger. All their seafood is locally sourced and delicious. To read more about Bagaduce Lunch, click here. Quoddy Bay Lobster, Eastport, Maine. If you are in the depths of Downeast Maine, Quoddy Bay lobster is a must visit lobster shack. Situated in the bustling lobster fishing village of Eastport, Quoddy Bay Lobster is open as of May 7th, offering rustic dining and a wide variety of lobster dishes including delicious, authentic Maine lobster rolls.